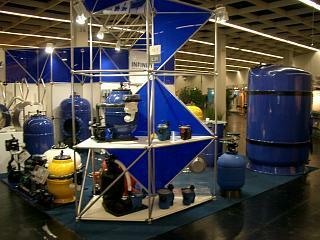 This involves one of the most significant trade fairs in the area of international swimming pool technology. This trade fair takes place every second year and it alternates with the trade fair in Barcelona in Spain. You can find our exhibition at stand 66 12 44 in Hall 66. The exhibition will include the new products which we have prepared for the 2005 season. 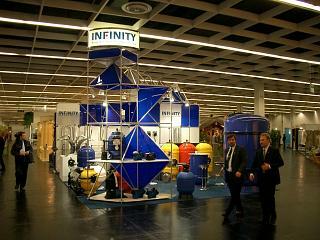 The main new products include a new series of sand filters for private swimming pools and whirlpools. Further new products include equipment for measurement, regulation and chemical dosing.